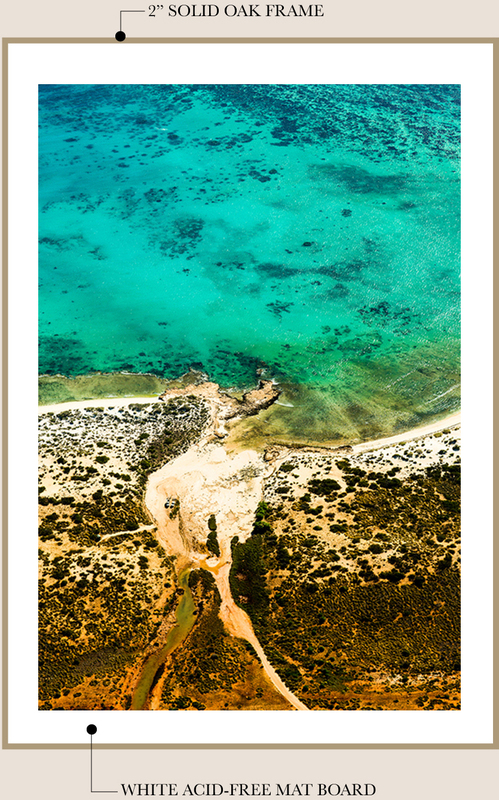 A natural haven; formed at the meeting point of two very different - yet both so quintessentially Australian - landscapes. 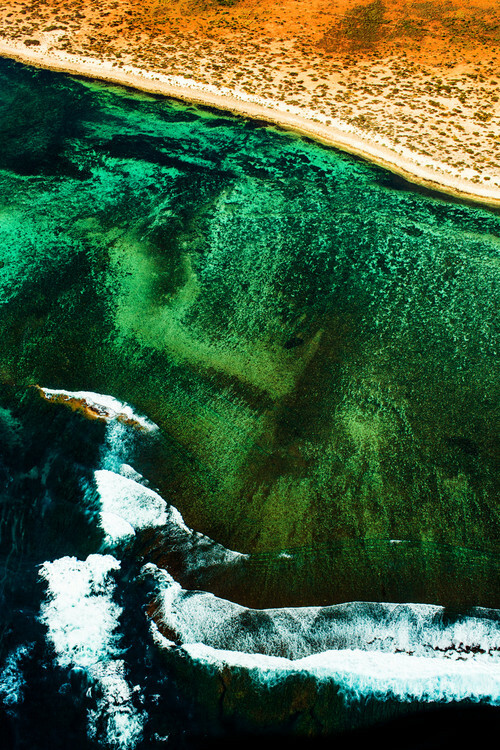 An unspoilt natural world, that is beautiful from above and below. Captured from a small aircraft. 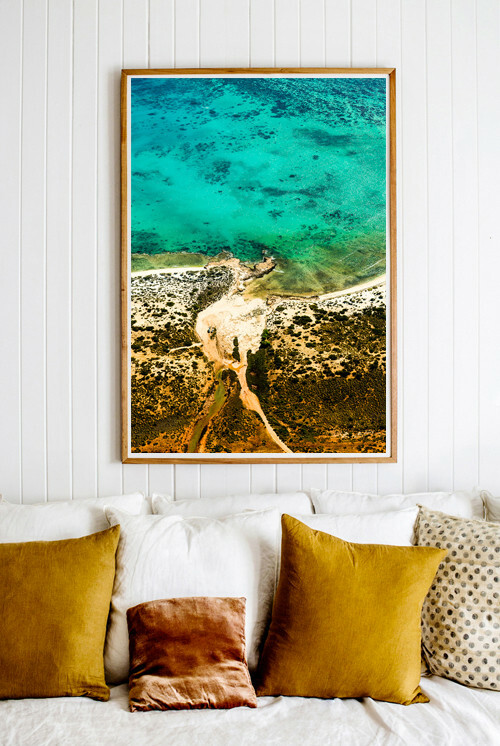 Perfectly suited for above your couch or bed. Professional framing is recommended. Shown here with my signature framing. A true statement piece. Professional framing is recommended. 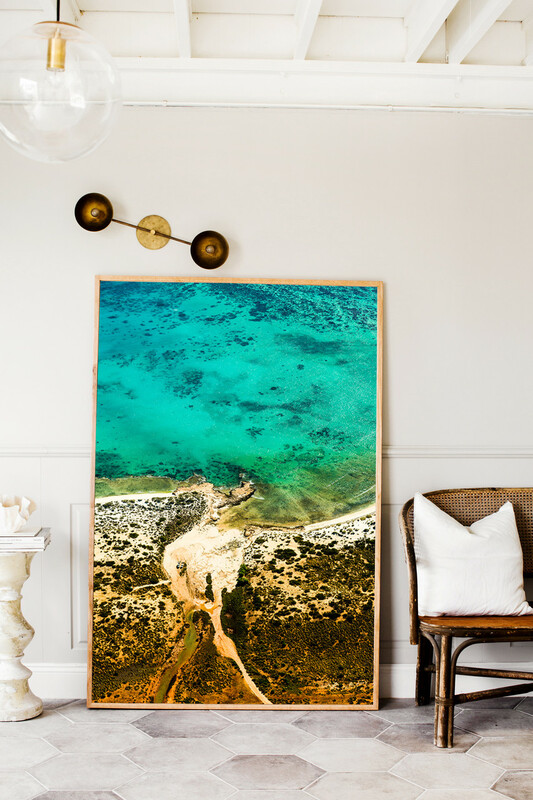 I work with a local professional art framer to finish your new photographic print in my signature style - unstained Tasmanian Oak with a traditional mat board*. *Please note: My Extra Large sized prints are printed edge to edge and are framed without a mat board.